The Privateers (2-3) survived a bases-loaded jam in the 9th inning and escaped Zephyr Field with a 4-3 win over the South Alabama Jaguars on Saturday afternoon. New Orleans also escaped a jam in the eighth inning, when Chaz Boyer made an unbelievable catch in center field, stranding two Jaguars baserunners. UNO's Athletic Department has posted this video of the catch. 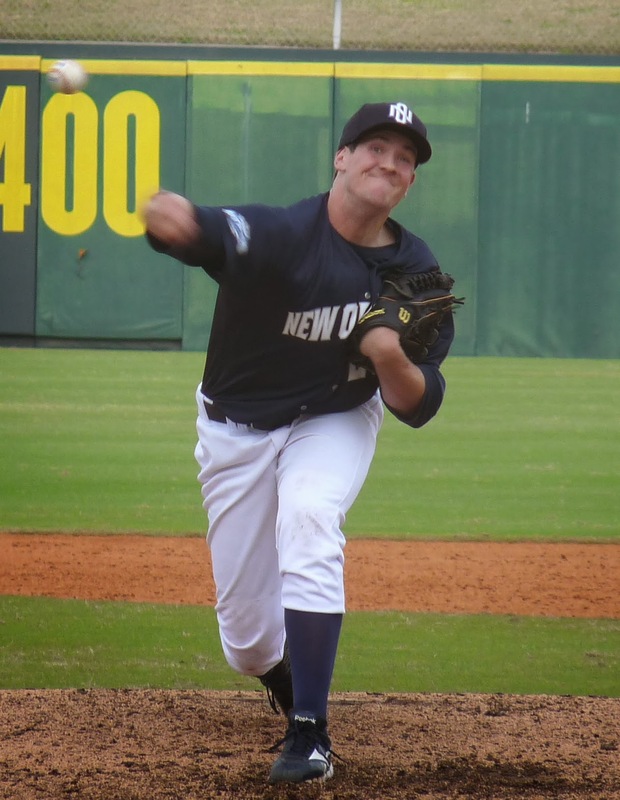 Hunter Medine, Seth Laigast, and Ray Winter pitched effectively in relief, and first baseman Cameron Hoffman drilled the first Privateer homer of the season in the 7th to give UNO their eventual winning margin.